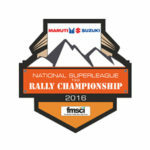 The FMSCI National Superleague TSD Rally Championship is new. The custodians are not. The Title Sponsor is Maruti Suzuki India Limited for the new championship that will run six rounds across the length and breadth of the country. The auto company is entrenched in Indian motorsport since the 1980s previously being actively involved with the Himalayan Rally and now being the force behind the Raid de Himalaya and the Desert Storm –the two truly iconic motorsport events of India.